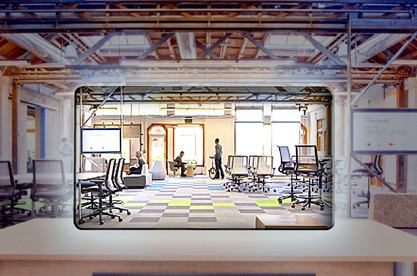 Shaping the future of our world relies solely on the creativity, ingenuity, and vision of the people that live in it. 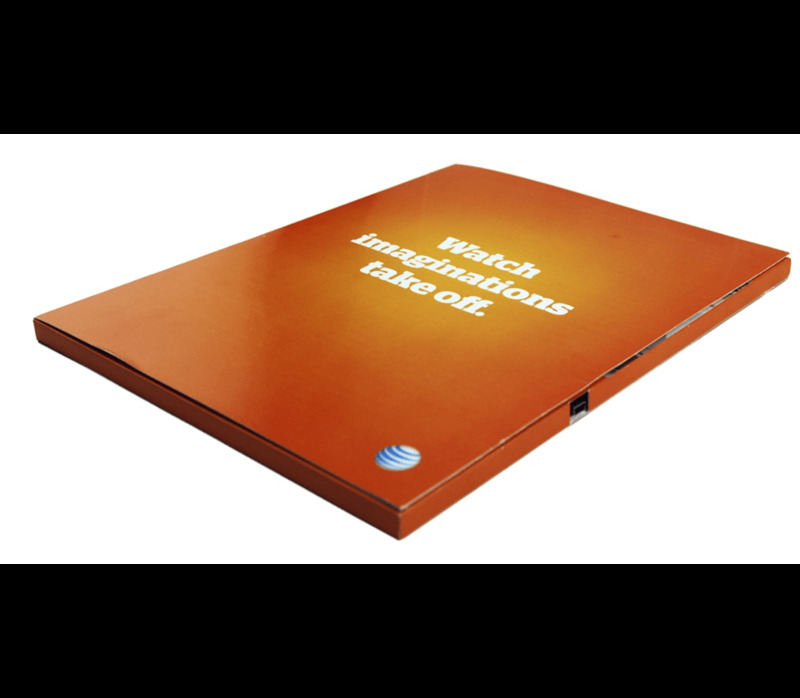 AT&T understood this “power of the crowd” and decided to reach out to these innovators to help them realize what they haven’t yet imagined is possible. 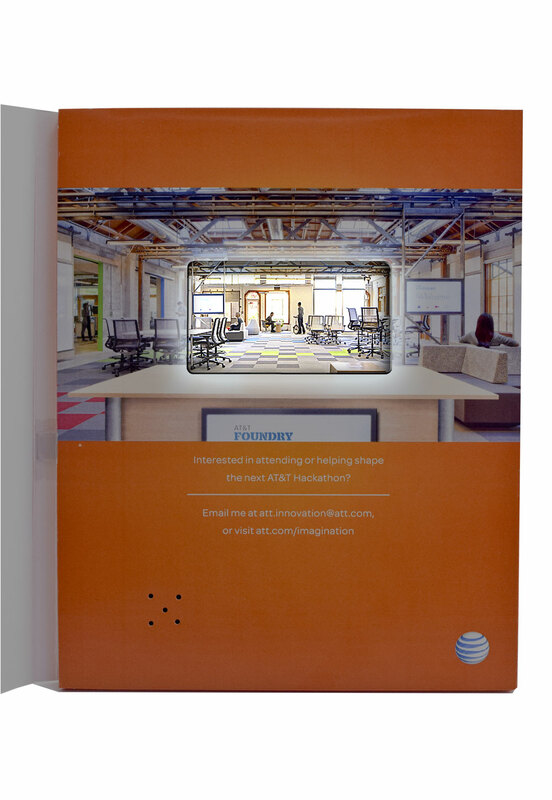 The task was to communicate AT&T's message to the world’s best minds to find solutions for both personal and global issues and to invite them to take advantage of AT&T’s collaborative environment. 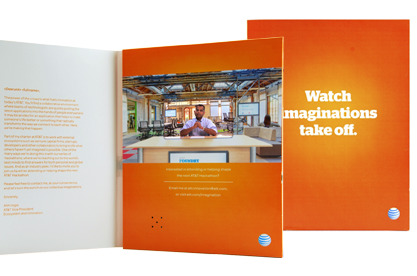 With the goal of enticing the world’s best minds, AT&T needed a direct mail piece that would not only captivate the reader, but would appeal to the type of visionary that they were looking to attract. 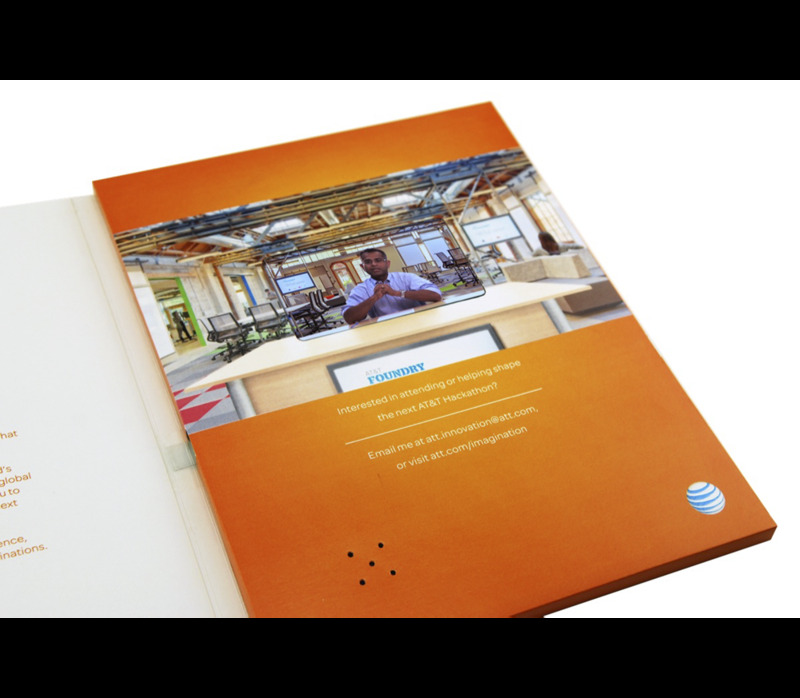 AT&T worked with Americhip to develop and produce a direct mail piece that utilized Video in Print Technology with Data Tracking & Analytics. 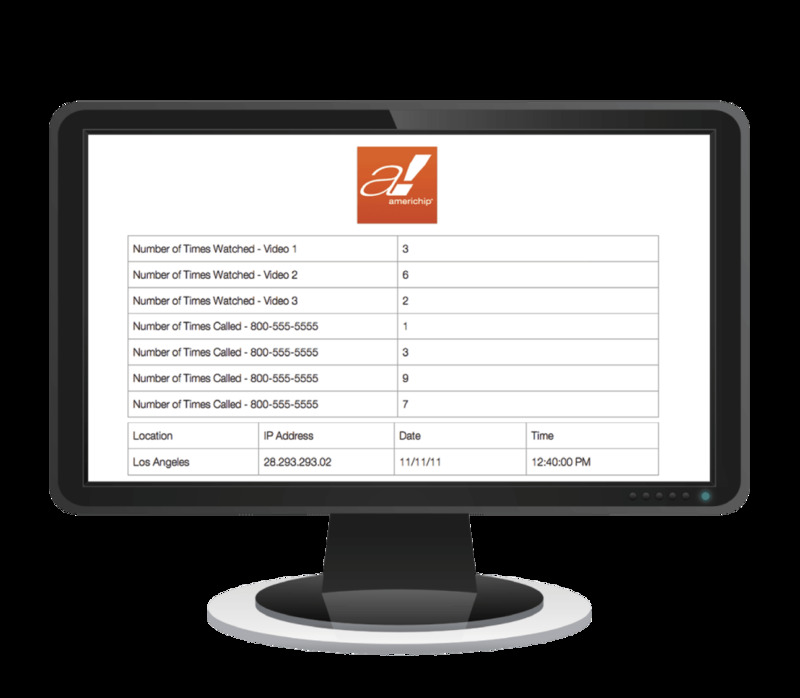 The mailer had a 4.3” LCD Screen that automatically played when the mailer was opened. 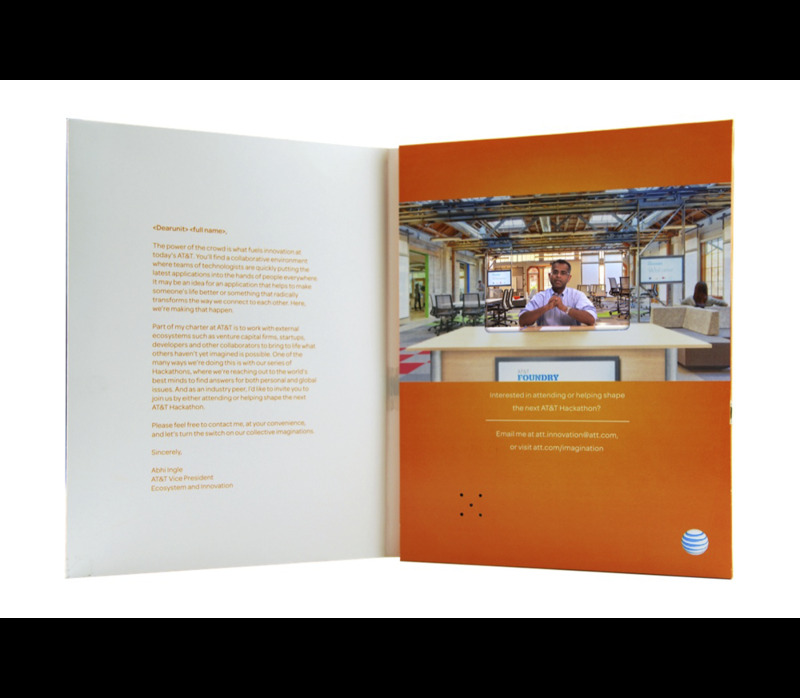 The video content included a special message from AT&T’s Vice President of Innovation as well as a few inspiring stories of other innovators that are shaping today’s world with the help of AT&T.